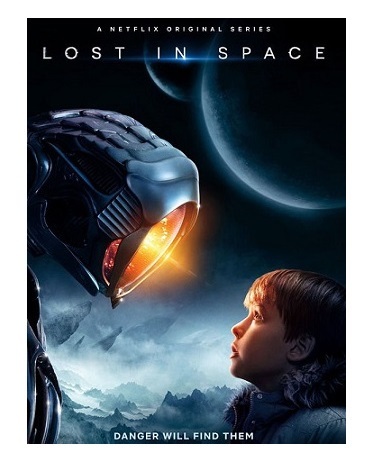 Certainly before my time, but I can honestly say that I have fond memories of the TV series, “Lost In Space”, from when I was still a tiny tyke, and too young to stay home by myself. Hehehe! I used to actually go to a lady who basically ran a makeshift daycare out of her house for me and a bunch of other neighborhood kids. She was the sweetest lady in the world, I swear! And around lunch time…we’d get hot dogs and potato chips, and sit in her living room around the TV…and we’d all watch “Get Smart”, “I Dream Of Jeanie”, and…”Lost In Space”! The idea of exploring space and seeing monsters and stuff was always so cool to me. And I loved the show, reruns and all. So, naturally, when I first heard that Netflix was going to reboot and update the series…I was overjoyed to see what they were going to do with it! There was a movie reboot version of “Lost In Space” back in 1998…and all of the elements were there. The cast was amazing (William Hurt, Heather Graham, Matt LeBlanc…and who could possibly be a better ‘Dr. Smith’ than Gary Oldman???). And yet…something was missing. I think I only liked it because it was “Lost In Space”, otherwise…it was a shrug of the shoulders at best, in my opinion. Not BAD, but…meh. Nostalgia works wonders on our personal biases sometimes. I couldn’t help but to be skeptical when Netflix said that it was going to bring the series back with a 10 episode revamping of the idea. I mean…if they miss the mark with a big budget movie…how could Netflix possibly do any better. Well, that was my FIRST mistake! Because…this new version of “Lost In Space” is INCREDIBLE! Not only does this short series look as though every episode was filmed to be a blockbuster Summer movie, but the casting is superb, the ‘feel’ of it is just right, and the creators were able to bring the nostalgia rushing back for fans of the original…while still giving us something totally new to drool over! VERY well done! 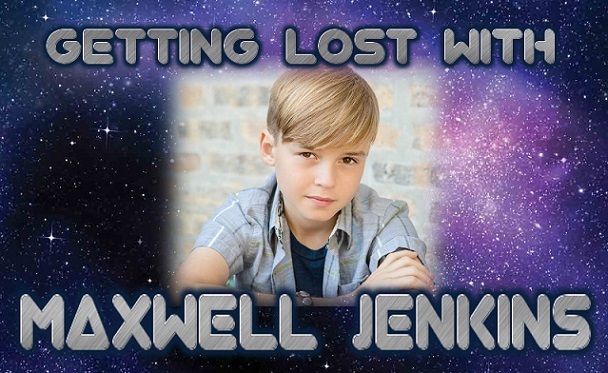 And that brings us to the star of the show…Maxwell Jenkins as ‘Will Robinson’! Because, let’s be honest, that has always been the most important part of the “Lost In Space” lore! A boy and his robot. And Maxwell nailed it! The brains, the innocence, the sense of danger, the heartfelt affection for his companion…he hit every mark on the checklist, and made this show SO enjoyable to watch! A worthy successor to Bill Mumy’s ‘Will Robinson’ from the 60’s! Max said, “I was so excited! My manager called while we were having dinner and said ‘Danger, Will Robinson! Congratulations, Max! You’re going to space – well, actually Vancouver.” And the part was all his. Good choice! Because I, personally, think he did an excellent job with the character! If you haven’t seen this series yet…it is SEVERELY underrated! Now there were a lot of liberties taken with this new series, and some significant changes made to the story. I have to admit that I was a bit apprehensive at first. But they totally pulled it off, and updated the series for an entirely new audience in a really refreshing way. One of the most awesome changes was making the character of ‘Dr. Smith’ a woman. Played by actress, Parker Posey, who makes EVERY movie that she’s in just a little bit more fun whenever she’s on screen! Again, perfect casting for this role! When preparing for his iconic role in the series, Max went looking for a bit of guidance as to how to do some homework for his time in the spotlight. “…He said, watch these three movies – ‘Black Stallion’, ‘Iron Giant’, and ‘ET[. So, luckily, ‘Iron Giant’ and ‘ET’ are my two favorite movies already. And I did also watch the first season of the original.” He says. So I’m guessing he was already prepared from day one! 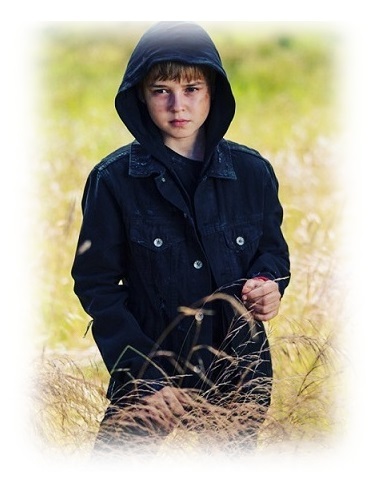 Gearing up to begin high school this year, Max has already built himself quite an amazing resume in terms of his acting credits. He’s already worked with “Matrix” directors, the Wachowski siblings, as well as “Wonder Woman” director, Patty Jenkins. And he’s also been able to score starring roles on shows like “Betrayal”, “NCIS: New Orleans”, and “Chicago Fire”. So he’s got a lot of credits under his belt to be so young. It’s really awesome to see him doing so well. 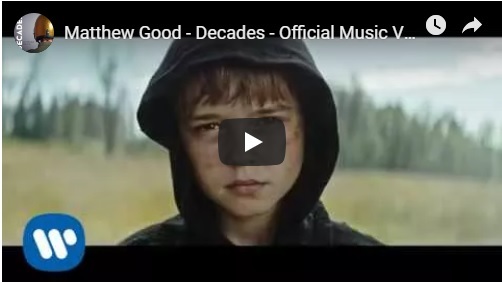 He made his big screen debut with Gerard Butler in “Family Man”, and Max has even been featured in the Matthew Good video for “Decades”, which is a bit of a different look for him, but it shows that he can do it all when called upon! So, go for it, right? And, believe it or not…this cutie’s talents don’t stop there! Would you believe that Max comes from a circus family??? Yep! It’s true! Max, his mother, father, and sister, Sam, are all bonafide circus performers, and take their act on the road every Fall in the Chicago area! Their groups is a collection of talented entertainers from all over the globe, and they have their shows in public parks all over the Chicago area to raise money in order to keep them kept up and beautiful to enhance the beauty of the city overall. Called the ‘Midnight Circus’, Max has been a major part of the troop since he was only three years old! Acrobatics, balancing acts, walking the tightrope…and he even plays the mandolin for a band called “Cowboy Jesus And Sugar Bum”! LOL! Ummm…what? Ok, then! Well, that’s about as awesome as it gets, right? Go get ’em, Chicago boy! I’ll be in your cheering section the whole way! Best of luck to you! And you fans of the first season can look forward to seeing Max and his robot companion returning in Season 2, which is just a few months away!